This stick earring has sleeping beauty turquoise nuggets measuring 2" long with silver plated frenchwires. 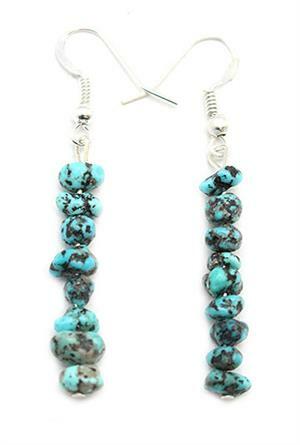 Native hand crafted by Navajo artisan Sandra Francisco. Size and shape of stones may vary.